One of the things that I’ve been thinking about lately is the way in which my work affects other people. Specifically, I’m thinking of you, the people who make their way to this website and decide to watch some videos. And even more specifically, I’m thinking of the people who choose to sign up for the courses that I create. 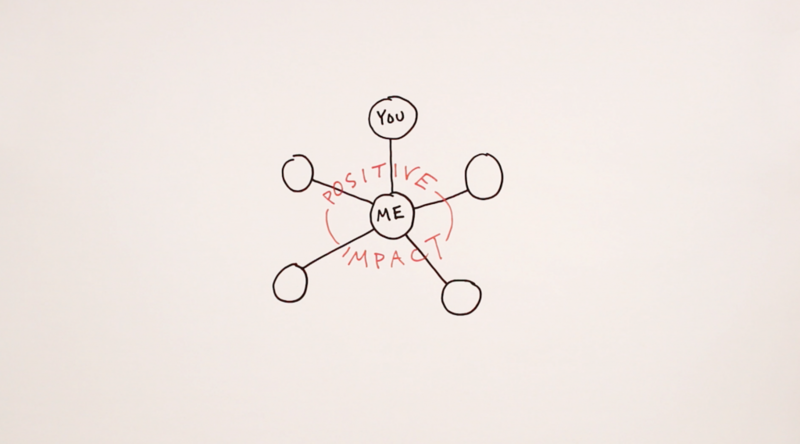 Whether this is the first blog post of mine that you’ve seen or you’ve completed every course that I’ve offered, my hope is that our interaction has a positive impact on your life, even if that impact is tiny and fleeting. With a few of the things that I’ve made though, and with one of the things that I’m making right now (which prompted this post), it goes a layer further, and causes me to think about the impact that my work has on your ability to positively impact the lives of others. Specifically, I’ve got two things in mind – two online courses. 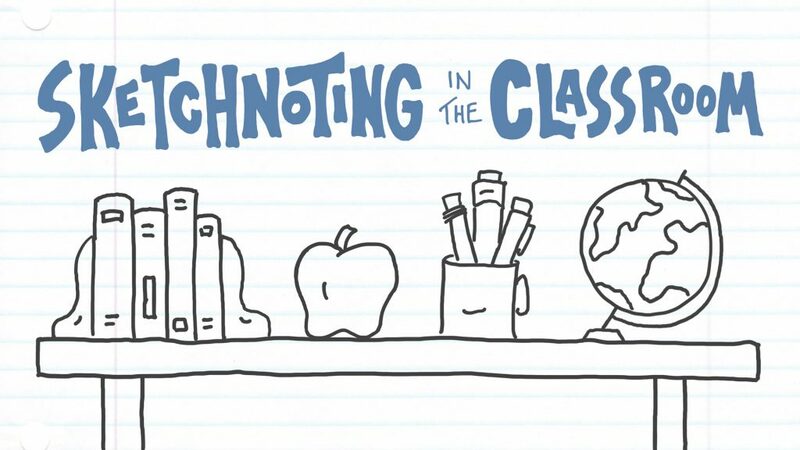 One is called Sketchnoting In The Classroom. That’s a resource kit that I built last year for educators who want to bring visual note-taking into their classroom and help their students develop this skill as a learning and problem-solving tool. In that case, then, the first layer is teachers, and the second their students, and my hope is that positive impact is the ultimate outcome at both stages. The other course is one that is currently in development. 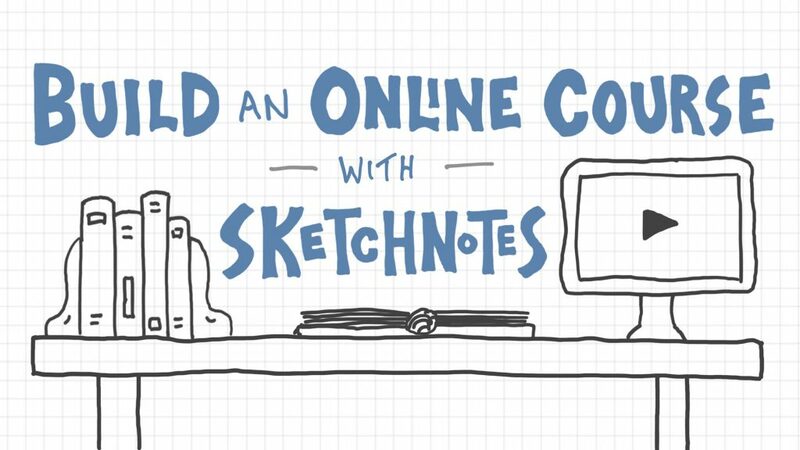 It’s called Build an Online Course with Sketchnotes. With that one I’m helping people use the tool of sketchnoting to teach something they care about specifically in an online format (like what I do). I won’t always know what they’re teaching and to whom, but again, my hope is that on the first layer I’m able to help bring out the passion in those online entrepreneurs (both budding and experienced) who want to teach something they care about, and on the second layer I’m able to help those folks do that teaching in a way that changes the lives of those they teach. 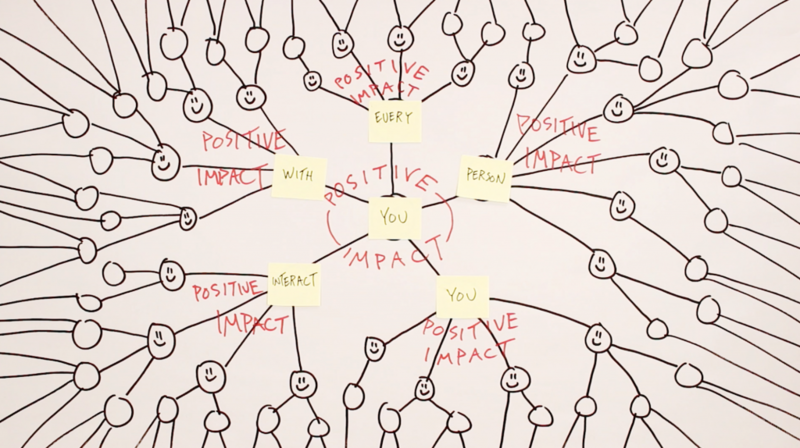 For me, expressing that positive impact chain in this way is a useful reminder as I continue to build what I’m building, knowing who it is that I’m hoping to impact with my work, and that it doesn’t stop at the first point of contact, but keeps on going. 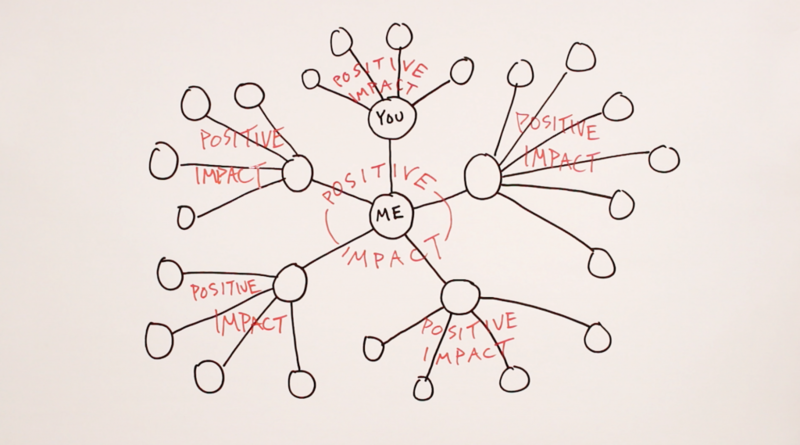 Now, let’s switch around these roles, because as you might have already realized, you are also at the center of your own web of impact. 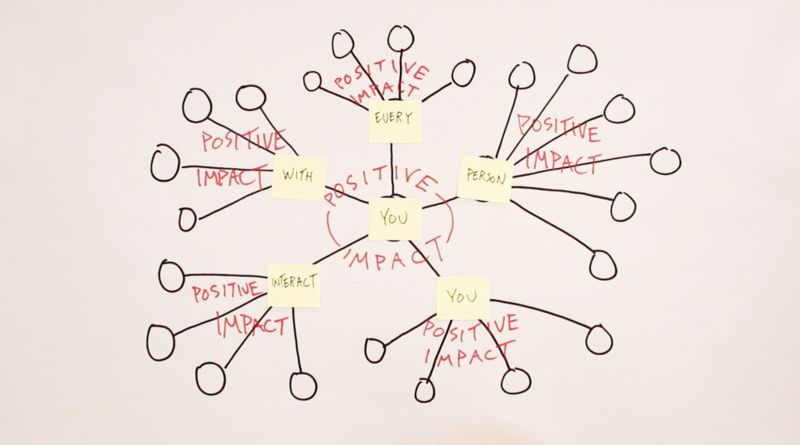 In fact, you will have some impact on every person you interact with, and with each interaction you have the opportunity to improve that person’s day, even if just in some small way. The implication, then, is that your actions affect people that you will never meet, never see, never interact with in any way, shape, or form. I’m not sharing this idea because I want you to feel pressure around every single interaction you have. What you see here is not an obligation. 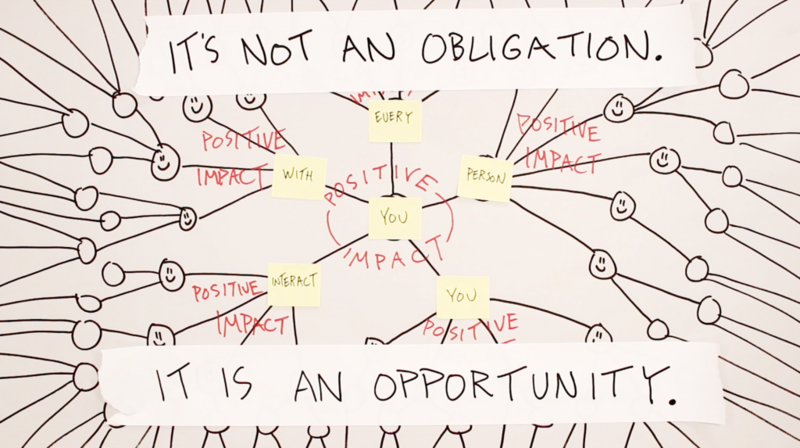 It is an opportunity. That’s what I’m trying to remind myself each time I dive back into the development of a project that I know has the potential to add some momentum to the positive impact chain that you see here. I’m sure that I will create some frowny faces here and there, but my hope is that, on the whole, there are a lot more smiley faces. Thanks for spending some time here. You can also find our full course library here.